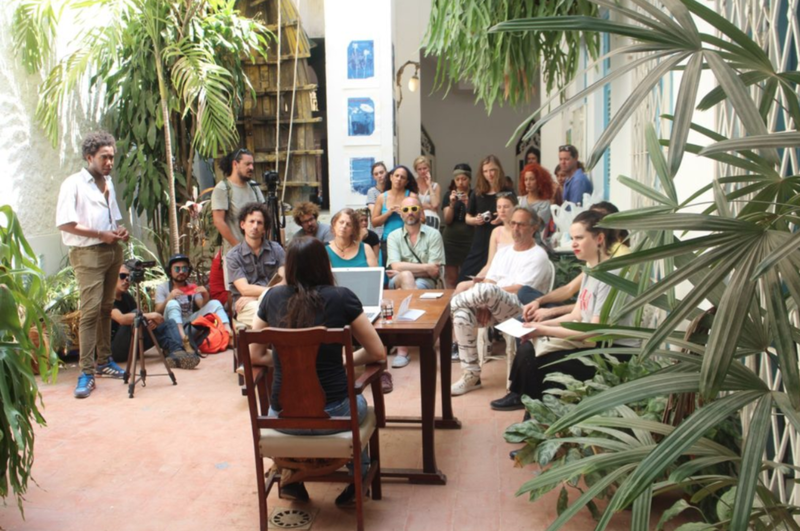 The biennial was created by artist Luis Manuel Otero Alcántara and curator Yanelys Núñez Leyva after the official state-funded Havana Biennial, scheduled for this fall, was postponed until 2019 in the wake of Hurricane Irma. “We consider it essential not to delay the event and start it with minimal resources,” read the announcementfor the alternative event, which held an open call for international artists. Eventually, some 140 artists signed on, including Cuban performance artist Tania Bruguera, who has often butted heads with the Cuban government, being arrestedon numerous occasions. Lacking an institutional venue, exhibitions and programming are being held at artists’ homes, studios, and workshops.